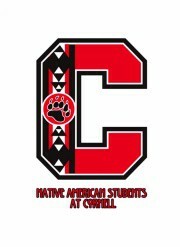 The Native American Students at Cornell had a discussion with Cody Two Bears of the Standing Rock Sioux Nation on September 6th about the current situation with the Dakota Access Pipeline and the potential impacts on the community of the Standing Rock Sioux Nation. Survey must be completed before you arrive. 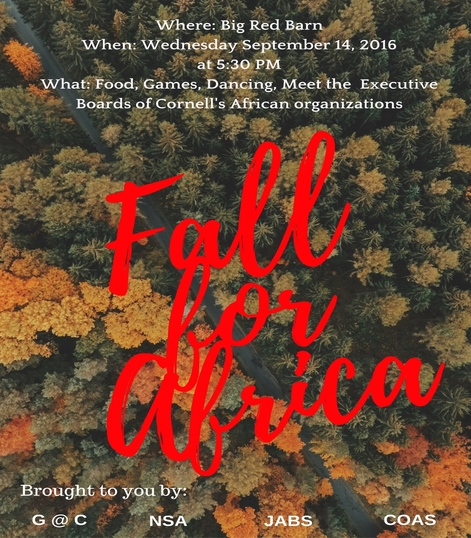 Fall for Africa is this Wednesday, September 14 at 5:30pm at the Big Red Barn! Fall for Africa is an Afrik meet and greet. 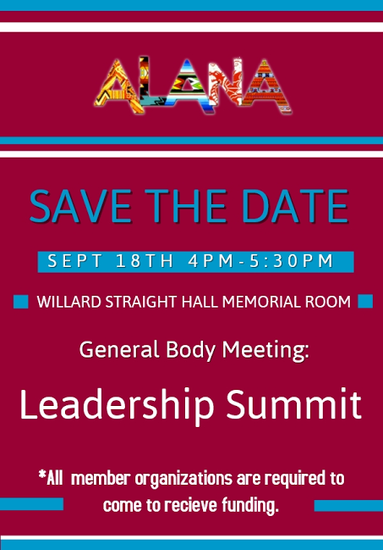 It is an event meant to introduce and/or reunite the African community with free food, activities, a break from the stress, and lots of fun! Plan to be there! Ghanaians at Cornell will also be presenting an Africa Night Market on October 21st. It'll be a night of African themed fun, traditional games, African food, and music! Vendors will also be there selling products for sale! Do not miss out on this chance to experience African culture. Fraternity for Men and Women Pursuing Careers in Business. Let us help you reach your professional goals, achieve excellence, and create life-long relationships. DSP Omicron Rho has hosted some of Cornell's biggest business events, like Consulting NOW! 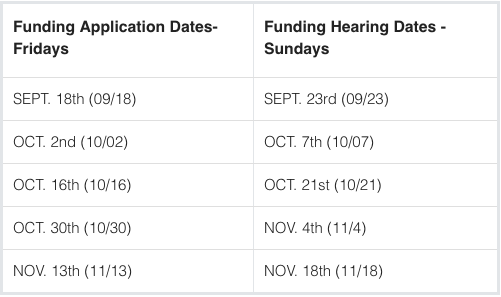 Conference, Work on Wall Street Conference, and The Cornell Leadership Summit. We also have a myriad of private networking events, social outings and service events that you can be a part of it too. Register for recruitment by 5PM on September 15th at www.CornellDSP.com/recruitment. Please note registration for rush is not required to attend an information session. Cross membership in social fraternities and sororities permitted.